Ben Carson seems to be pleased that the President is taking all the heat right now. Evidently, it lets him get things done. He likes having a low profile and not being in the spotlight. I get that… Carson strikes me as a thoughtful, quiet man. Carson is the only Senate-confirmed appointee at HUD these days and he’s got his hands full. There have been sporadic attacks from the left, but overall, it hasn’t been that bad. Carson has had a lot to learn in a short period of time and I’m sure there are not enough hours in the day to handle all that is on his plate. HUD is a big job and a huge responsibility. He has surrounded himself with gifted, bright, hard-working people and they are actually getting things done. Everyone is contributing far more than their fair share at HUD these days. Carson is content staying in the background of the Trump administration and I don’t blame him. Department of Housing and Urban Development Secretary Ben Carson appears grateful for the low profile he has maintained since joining the Trump administration, according to recent remarks he made in an interview with the Washington Examiner. Carson, a renowned neurosurgeon and one of Trump’s former GOP primary rivals, told the Examiner that “there’s no question that I’ve been forced to learn very rapidly a lot of stuff” in his new role. Carson said he’s happy he has been able to remain in the background of the Trump administration. Carson promoted an initiative he is putting forth called “Housing First.” It’s an effort to combat homelessness, which is a huge problem in our major cities these days. 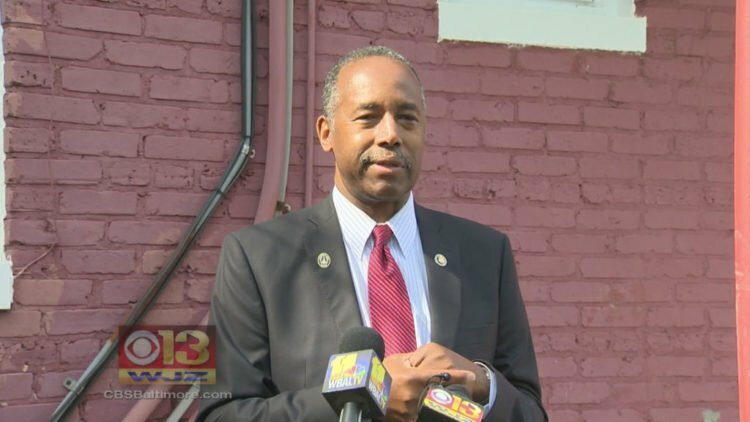 “The goal is really to get these people off the streets where they’re in danger, and where they actually cost society more than if you go ahead and take care of them,” Carson said. “We also have to think about the fact that every single human being has potential, and I look at them as human capital, and if we develop that, we’re talking about them becoming part of the engine, and if we don’t develop it, part of the load.” That’s why Carson is where he is and I think it is a terrific start. Maybe he can address some of these problems that have been ignored for far too long. Carson has been working behind the scenes trying to convince Democrats to vote for President Trump’s healthcare bills. He’s been helping Trump all he can on the Obamacare front and he had nothing but encouraging and kind things to say about the President. Carson wants to clean up the inner cities and help Americans live better lives. He’s a very good fit at HUD.